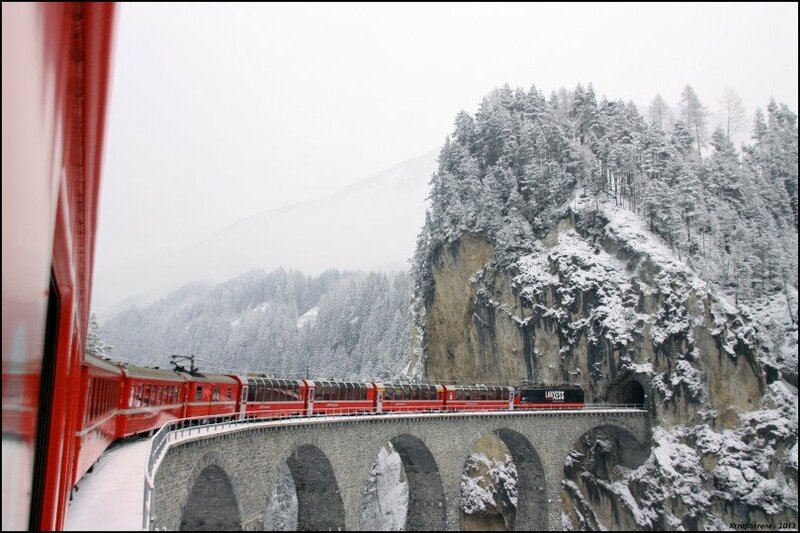 Winding through the famed Swiss Alps from Chur to the city of Tirano in Italy, the Bernina Express is one of the world’s great train journeys. This UNESCO World Heritage-listed line passes over nearly 200 bridges as it climbs to a height of 2,253 m (7,392 ft). 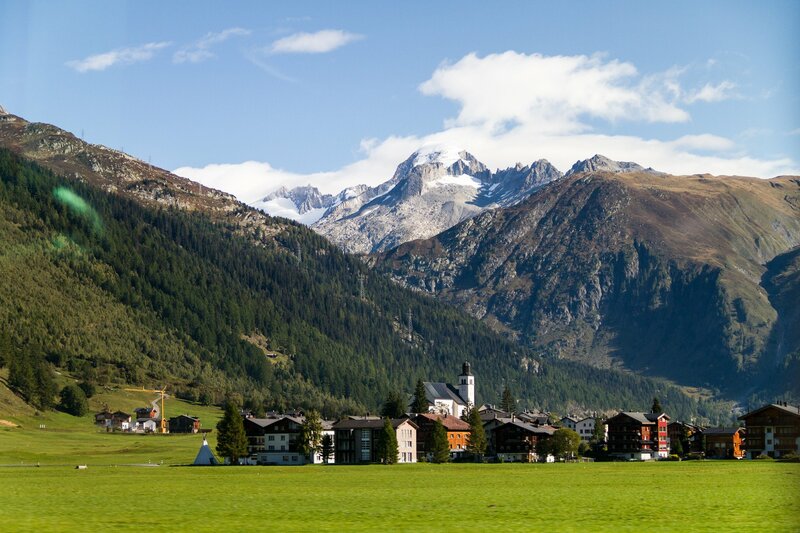 As you roll your way through the rugged landscape, you’ll have a great view of the mountain scenery and the Lago di Bianco below thanks to the Bernina Express’ specialized panoramic viewing cars. These offer a wide range of vision to passengers and allow for some fantastic photo-ops. 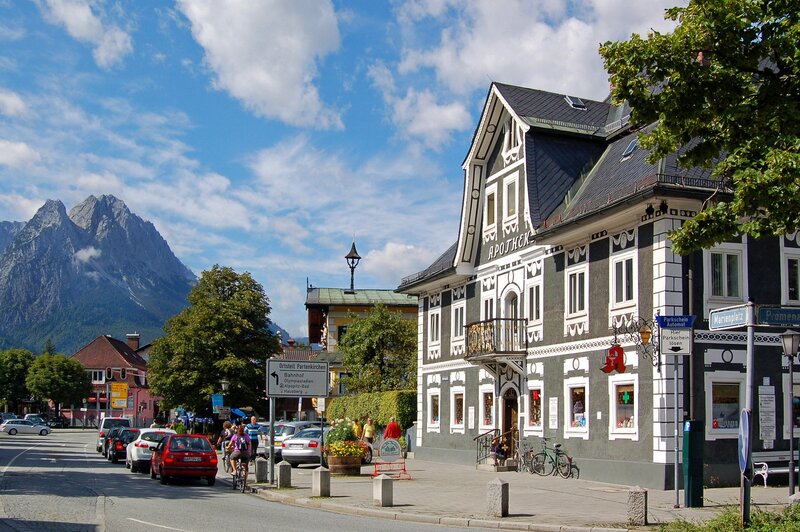 Connecting some of Central Europe’s most famed locales, the train between Munich and Innsbruck by way of the mountain town of Garmisch-Partenkirchen is a must for alpine enthusiasts. Wending up through the German Alps, you’ll be treated to views of gorgeous lakes and forested hillsides. If the constant mountain panoramas aren’t enough, you’ll surely be impressed by the sight of the Zugspitze, the highest mountain in Germany. The descent into the valley surrounding Innsbruck is equally eye-catching, so keep your eyes peeled. By catching a ride on the Glacier Express, you may be rubbing shoulders with more than a few of the international elite. As some of the most exclusive and upscale ski resorts in all of Europe, it’s no surprise than Zermatt and St. Moritz draw an equally-upscale crowd. Much of the Rhine Valley around you will seem almost lost in time, dotted with quaint Swiss villages and accented by huge swathes of alpine trees. In both the winter and the warmer months, there are plenty of postcard-perfect shots to be had along the way. Part of your trip even includes passing over a historic viaduct. Making the metaphorical trek from the Serbian capital of Belgrade to the seaside town of Bar in Montenegro is a memorable adventure. While this certainly isn’t a fast journey thanks to the condition of the tracks, you’ll be amazed at how enjoyable 17 hours can be when the scenery is this incredible. The mountains and canyons of southwest Serbia and the north of Montenegro provide a jaw-dropping backdrop for your trip: verdant plains give way to rocky foothills blanketed by hardy trees, and you’ll notice that nestled in amongst the valleys are winding rivers and forgotten villages. 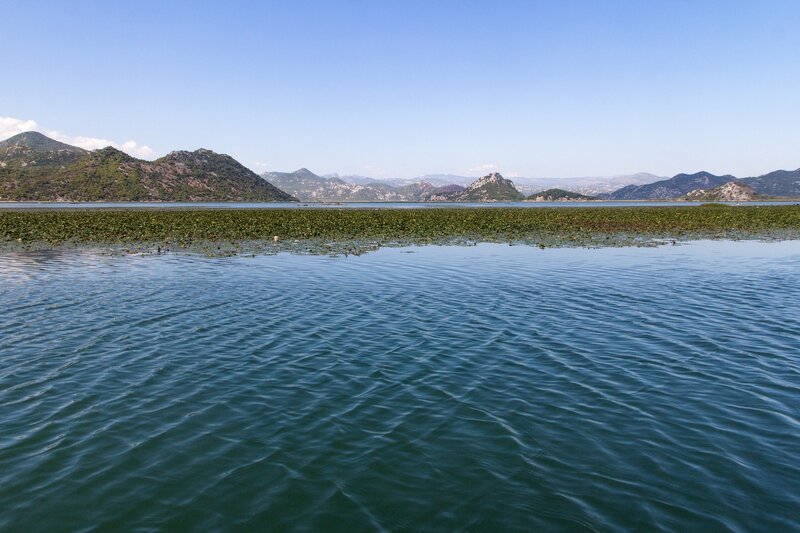 Approaching Bar, you’ll cross Lake Skadar and its rocky shoreline, eventually arriving at the sparkling blue waters of the Adriatic Sea. Stretching for 114 km (71 mi) between Dombås and Åndalsnes, the Rauma Line undoubtedly stands among Norway’s finest rail journeys. The line crosses the nation’s rugged heart, passing over canyons, through tunnels, and across verdant mountain meadows. Though the time of year drastically alters the landscape, the valleys and mountains remain stunning regardless of the season. 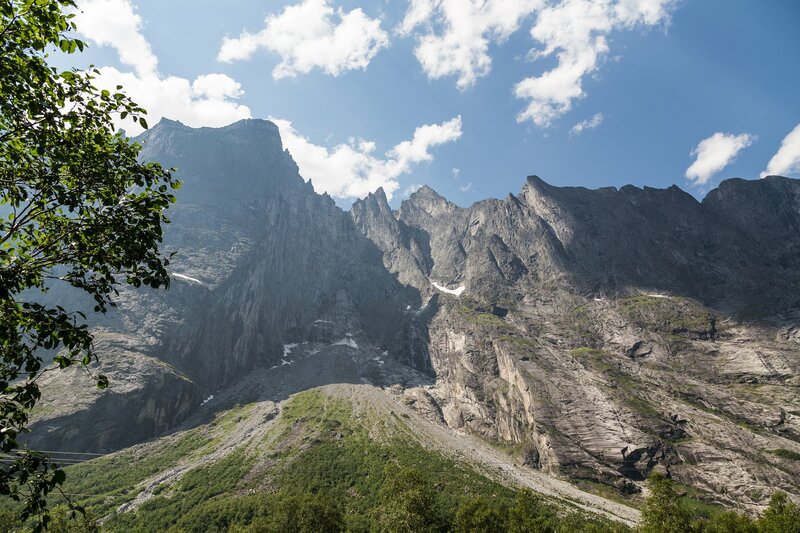 The crowning glory of this rail hop is definitely the Trollveggen, a massive rock face that rises above the route to an imposing height of 1,000 m (3,281 ft). 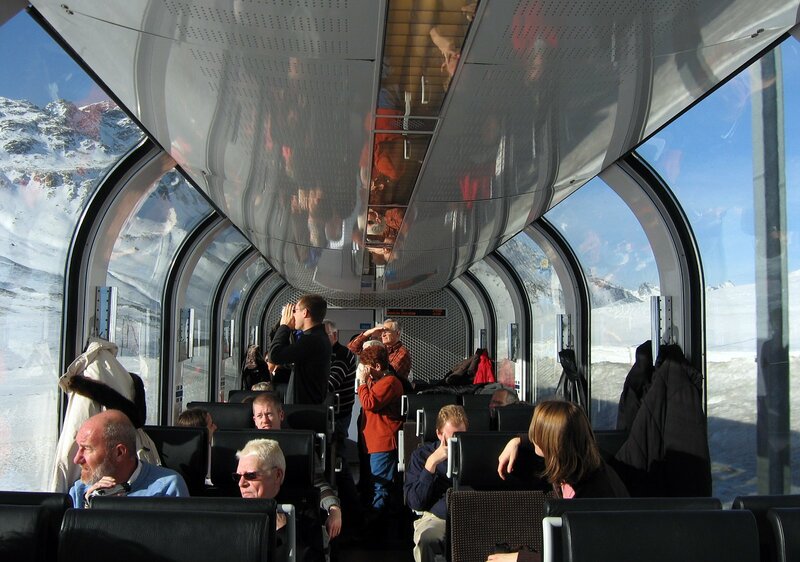 The train is equipped with special enlarged windows to provide killer views, along with a narration regarding the major sights along the way that runs in summer. Both practical and pleasurable, hopping aboard the European rail network gives you access to some of the continent’s most breathtaking beauty. As you embark upon your adventure through the most notable scenic train journeys in Europe, try using Inspirock’s free trip planner to see and do more along the way.